The Arcusin Autostack FSX63-72 is a fast field clearance machine and will handle any size of large square bale from field to stack. The process of bale loading is all fully automatic and the Arcusin Autostack FSX is recognised as the fastest bale clearance machine on the market. 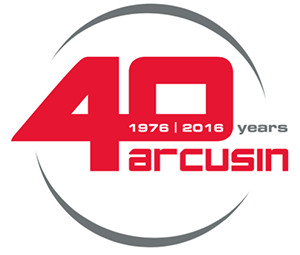 The Arcusin system is a one person operation. The Autostack loads, transports and stacks large volumes of bales without the need for telescopic handlers. The Autostack loads the bale onto the pickup elevator with the pickup drive chains, whilst moving in the same direction of travel as the baler. The bale is then rotated through 90 degrees, whilst on the pickup elevator. The bale is then moved onto the loading platform with the use of the pickup drive chains and platform rollers. The bale pusher moves bales to the rear of the platform and once the loading platform is full then the bales are automatically loaded onto the main body of the trailer. The loading platform rises and the bales are stacked on the front of the main trailer. As more bales are loaded onto the main body of the trailer, bales already loaded are slowly pushed to the rear of the trailer. The process is repeated until the trailer is full. Bales picked up cleanly from where the baler left them. 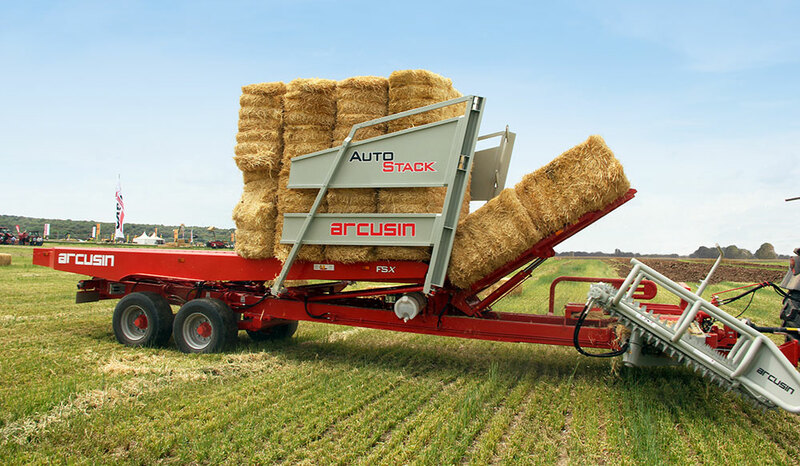 Arcusin Autostack FSX works by travelling in the same direction as the baler. Very neat tidy stacks can be formed as bales are all stacked accurately in line with the side of the trailer. Independent hydraulic suspension gives a smoother and faster ride over any terrain, reducing machine vibration. Special chain pickup system for use especially with Hesston Bales for power station contracts and for use when collecting various sizes of multipacks made up of conventional bales. This system is optional and recommended for our customers with universal benefits when collecting these bales and all the other bale sizes.